If you have a car alarm, then perfect. It means you’ll know if anyone attempts to hijack your car. However not all cars have a built-in car alarm. Don’t worry if you don’t have one because you can install one yourself. Learn more about car alarms with this informative article. Step-by-step instructions are supplied which indicate that it’s simple to install a car alarm. Get yourself one of these systems and feel protected today. How does a car alarm work? What are you going to need? How much does it cost to install a car alarm? More than one sensor which can include switches and motion detectors. A noise-making siren or flashlights. A radio receiver to allow wireless control from a key fob. A control unit (brain) to operate the entire alarm system. The brain is what detects attempted theft based on the signal from the sensors. The sensors are the most important part of the car alarm. There are a total of six sensors your car system can employ. This breakdown of each sensor makes it easier for you to understand how they work and what triggers the alarm. Door sensors are effective but offer limited protection as thieves can break into the car through the window. Most cars have switching mechanisms that when the doors are opened correctly the inside lights switch on. When the doors are closed the remote activates the circuit to effectively lock the doors. When the remote or key opens the door, the circuit is closed which sends electricity to the inside lights. When you install the car alarm, new elements need to connect the circuit to the control unit. When the doors are closed or opened with the car keys, the control unit will activate the alarm. Opening and closing doors follow a certain theme. If the car and alarm system don’t recognize the theme they’ll trigger the car alarm as they detect a break in. If someone hits, jostles or moves the car in any way, the sensor sends a signal to the brain indicating the intensity of the motion. Depending on the intensity the brain can activate the car alarm. When the sensor is moved, the ball rolls around in the housing and off one of the electrical contacts. The broken connection between the contacts opens the switch which indicates the ball has moved. When the ball touches the electrical contact points short bursts of current are sent to the brain. The number of bursts and the duration give an indication of the intensity of the movement. When the car moves a lot (someone is attempting to break in) the intensity is magnified. This leads the brain to turn on the siren at full blast to warn of a break in. For window breakages, the microphone connected to the brain measures the various air pressure fluctuations. It converts the patterns into a fluctuating electrical current. Breaking glass also has a certain sound frequency. The brain will assess the fluctuation and the frequency and determine if there is an attempted break in. If so, it’ll trigger the siren and alarm. This type of sensor protects against thieves with tow trucks. Tilt sensors use mercury switches which detect impact and vehicle tilt. A mercury switch consists of two electrical wires and a ball of mercury positioned inside a cylinder. When the mercury makes contact with one side of the cylinder, while disconnected from the other, it can either open or close the circuit. When switches open or close when they aren’t supposed to, the brain detects someone is tilting the car. It’ll then trigger the alarm. 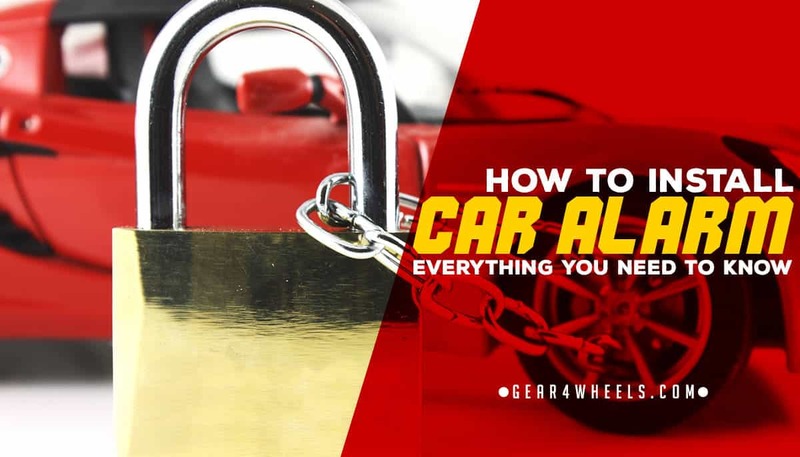 The car alert system is important because it notifies you thieves are attempting to steal your car. At the most basic level the car can activate the siren, honk the horn or flash the headlights. More advanced car alarms can shut off the ignition or cut the gas supply to the engine. The car alarm gets control of these areas through the computer board. When you wire it correctly and activate the relevant setting, the brain will give a signal to the car to prevent theft. The keychain transmitter enables you to control the alarm system remotely. The main purpose of the remote is to activate or deactivate the alarm system. The brain also indicates the alarm is activated or not by flashing the headlights or honking the horn. Most advanced receivers let you control the entire car or give notification of any impact or shifts felt by the sensors. Rolling code algorithms encrypt the receiver with new codes to prevent thieves from copying pre-existing codes. This is a great security measure offered by advanced car alarms. The following materials are the proper resources you need to effectively install the car system. Aftermarket alarms can be customized to fit well in any vehicle. They can be installed with different sensors to provide maximum protection. Aftermath alarms can be installed in the car any time after it has been built. One aftermarket car alarm you can install is the Viper 5906V. This alarm system connects to your whole car. With its revolutionary technologies, you not only get a car alarm but it indicates the minutes for the parking meter or how long your car’s engine has been running. The car alarm system also makes keyless entry possible and it’s SmartStart compatible. Before you commence with the installation you must consult the alarm guide for other materials you may need. Disable the battery and be careful of any airbag wiring. Don’t wire any part of the alarm system into the airbag circuit. Plan where you want parts to fit and how the wires will connect to the different parts. Use the documents and manuals supplied to determine where are the best places to install the different parts. Planning ahead saves time spent installing the system. It also avoids modification mistakes. Laying out the installation plans increases the functionality of the car alarm. Remove panels so you have access to your car’s wiring system. This makes it easier for you to determine the best place to run the wires. Mount the car alarm in a place where it can be hidden. If the thief can see the car alarm there is a chance he can tamper it to disarm it. Install the alarm with screws and tape to hold it in place. Remember to look at the other side of the surface before screwing anything in place. This avoids the mistake of screwing into other parts. You can also install a valet switch with the car alarm. The switch makes it possible to disable the alarm. This makes it easier when someone else has your car such as the mechanic. Find a hole in the car’s firewall to connect the alarm to the siren. The firewall separates the engine from the car’s interior. The hole also allows a power line between the battery and the alarm’s brain. You can also wire a fuse into the line. Drill through the firewall if there are no pre-existing holes that suit the wiring. Be careful not to damage important components. Find the alarm computer as this is where the brain of the alarm will connect. This computer system gives power to the alarm system. The sensors need to be wired to the car’s computer system so it can feed the brain signals. The signals help the brain detect if there is a possible break in. It’s best to crimp the wires for a more secure fit. You can connect the sensors to the doors, windows hood and trunk. Motion detectors can also be installed to the brain and computer. An LED light is important because it indicates the alarm is activated. You need to install the LED light onto the car’s dash. You can mount it with super glue or by drilling a hole. The LED light needs to be wired back to the alarm. If you decide to drill a hole examine the other side of the dash. Be clear of any other components or parts you can drill through which are vital to the car’s operations. An external antenna is also important because it increases the range of the wireless remote or keypad. The range is extended because the remotes receive the signal from outside the car. The external antenna must be installed to the brain or computer to ensure you can activate or disarm the car alarm from a distance. Some antennas can be glass mounted. They can be installed on the outside of the glass and the repeater on the inside of the same glass. There is no need to drill holes in the glass to connect the two. The repeater’s wires must be connected to the alarm. Once parts have been wired and connected to the battery wait for it to start up and activate it. Attempt to break into your car by means where the sensors are. If you have more than one sensor test them all. Once you’ve tested the alarm system, you can bundle the wires together with tape, zip ties or shrink wrap. You want your home to be protected. Why not your car too? It isn’t something that can be easily replaced, which is why it needs an alarm. You can prevent any risk of attempted theft. What is great about technology is it makes it possible to install an alarm in any vehicle no matter the model or age. 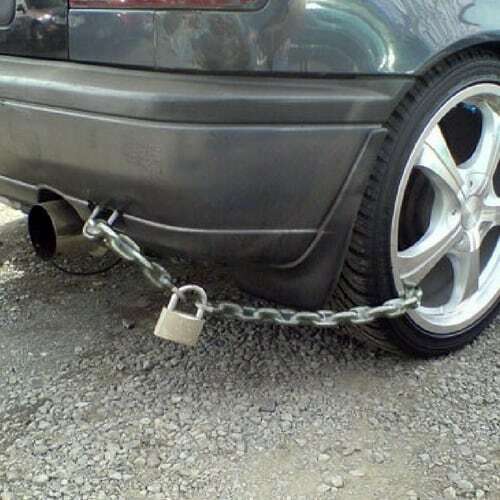 You need this to give you assurance your car is safe. Which type will you use?